Фармакоэкономика. Центр фармакоэкономических исследований / Итоги деятельности Санкт-Петербургского отделения ISPOR за 2014 г.
ЦЕНТР ФАРМАКОЭКОНОМИЧЕСКИХ ИССЛЕДОВАНИЙ / Новости / Итоги деятельности Санкт-Петербургского отделения ISPOR за 2014 г.
ISPOR Russia St. Petersburg Chapter was accepted in November 2012. DrPH, MD, CEO of "Center of Pharmacoeconomics Research"
Alexandra Burbello, MD, PhD, Doctor of Science, Nord-West State Medical University, ProfessoClinical pharmacologist; Alla Rudakova, PharmD, PhD, Doctor of Science, SPbCPhA, Professor; Andrey Pavlysh, MD, PhD, Pavlov State Medical University of Saint Petersburg; Boris Andreev, MD, Doctor of Science, professor, St. Petersburg State University, Head of the department of pharmacology; Georgy Manikhas, MD, PhD, Doctor of Science, City Oncological Clinic, Heard; Yulia Balykina, MS, St Petersburg State University, Assistant; Maksim Proskurin, MS, St Petersburg State University, Assistant; Julia Gomon, DrPH,MD, St.George the Martyr City Hospital, Clinical pharmacologist; Nikolai Klimko, MD, PhD, Doctor of Science, North-Western State Medical University, Head of the department; Sergey Zyryanov, MD, PhD, Doctor of Science, Russian State Medical University, Professor, Head of the laboratory of clinical pharmacology; Oleg Karpov, MD, PhD, Doctor of Science, Professor, Sanofi, Head of Health Economics and Pricing Policy, Market Access Dept; Natalia Zakharova, MD, PhD, Doctor of Sciences, Professor, North-Western State Medical University; Stanislav Malyshev, St. Petersburg State University, student. 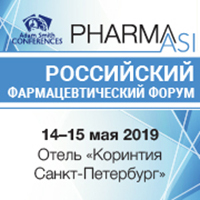 For more information of Chapter, please visit at http://www.ispor.org/regional_chapters/Russia-StPetersburg/index.asp and http://www.labclinpharm.ru. Pharmacoeconomic Analysis of Telmisartan in Combination with Amlodipine (Tvinsta®) for Outpatient Treatment of Patients with 1st and 2nd degree hypertension with Ineffectiveness of Previous Monotherapy with Amlodipine. Clinical Pharmacology and Therapy. 2014, 23 (1). – P.1-6. Economic and Clinical Issues of HIV Infection. Ed. by N.A.Belyakova, N.G.Zaharova, N.V.Sizova. Medical theme archive. St. Petersburg: Baltic Medical Education Center, 2014. Issue 6. – P. 5-20. Kolbin A.S., Kurylev A.A., Musatov B.V., Yakovlev A.A.
Armenian Medical Review Journal, 2014, - P.34. Kolbin A.S., Pavlysh A.V., Kurylev A.A., Belousov D.Yu. Clinical Pharmacology and Therapy. 2014, 23 (1). – P.87-92. HIV infection are immunosuppression. – 2014.- Issue 1 – P.110-116. Federal Guidelines for Physicians on the Use of Drugs (formulary system)"
Good Clinical Practice. – 2014. - Issue 1. – P. 14-24. Kolbin A.S., Vilium I.A., Proskurin M.A., Balykina Y.E. Good Clinical Practice. – 2014. - Issue 1. – P. 40-57. Kolbin A.S., Vilium I.A., Balykina Y.E., Proskurin M.A. Good Clinical Practice. – 2014. - Issue 1. –P. 57-68. Journal of Management and Marketing, Scientific Publisher. 2014;2 (1): 19—26. Pharmacoeconomics. Modern Pharmacoepidemiology and pharmacoeconomics. – 2014. Vol. 7. Issue 1. – P. 1 – 7. Modern Oncology. – 2014. – Vol. 16. – Iss. 2. – P. 66-73. Clinical Microbiology and Antimicrobial Chemotherapy. 2014. – Vol.16. – Iss. 2. – P.137-143. Arepyeva M.A., Kolbin A.S., Kurylyov A.A., Balykina Yu. E., Sidorenko S.V. Good Clinical Practice. – 2014. - Issue 2. – P. 77-81. Clinical Pharmacology and Therapy. – 2014. - 23 (5). – P.91-96. Kolbin A.S., Gapeshin R.A., Malyshev S.M. Clinical Pharmacology and Therapy. – 2014. –Vol.23. Iss. 4. P. 103-108. Kolbin A.S., Kurylev A.A., Proscurin M.A., Balykina Yu.E. Pharmacoeconomics. ModernPharmacoeconomicsandPharmacoepidemiology. 2014. – 7(2). – P.6– 12. Kolbin A.S., Vilum I.A., Balykina Yu.E., Proskurin M.A. Value in health. 2014;17(7): PgA508. ISPOR 17 annual European Congress. November 8-12. 2014. PIH22. Kolbin A., Vilum I., Balykina Yu., Proskurin M.
Pharmacoeconomic Analysis of the Use of Sunitinib (Sutent) in First-Line Treatment of Metastatic Renal Cell Carcinoma. PracticalPharmacoeconomics. Vol. 2. Broncho-pulmonology, Oncology, Gynecology, Neurology (research collection), 2014. - P.31-44. Kolbin A.S., Vilyum I.A., Proskurin M.A., Balykina Y.E. Pharmacoeconomic Analysis of Oxaliplatin in Chemotherapy for Colorectal Cancer. Data from Actual Clinical Practice. Pharmacoeconomics. 2014. – Vol.7.- Iss. 3.-P..26-29. Pavlysh A.V., Kolbin A.S., Kasimova A.R. Problemy standartizatsii v zdravoochranenii. 2014. – 7- P. 8-14. Voprosysovremennoipediatrii. 2014. – 13(1). - P.51-59. Rudakova A.V., Baranov A.A., Lobzin Yu.V., Briko N.I., Namazova-Baranova L.S., Tatochenko V.K., Charit S.M., Sidorenko S.V., Korolyova I.S., Kozlov R.S., Mayanski N.A., Kostinov M.P., Snegova N.F. Kardiologia. 2014. – 54(7). - P. 43-52. Nephrologia. 2014. – 18(6). - P. 64-70. Niuiten M., Rudakova A.V., Marshall T.
Consilium Medicum. 2014. 16(5). - P. 47-50. Onkourologia. 2014. - 3. - P. 73-77. Ratsionalnaya pharmakoterapia v kardiologii. 2014. – 10(3). - P. 275-282. VICH-infektsia i immunosupressia. 2014. – 6(4). - P.51-56. VICH-infektsia i immunosupressia. 2014. – 6(1). - P. 97-100. Zhurnal infektologii. 2014. 6(2). - P. 43-47. Perova A.L., Rudakova A.V., Charit S.M. Zhurnal infektologii. 2014. 6. - 2. - P. 71-75. Rudakova A.V., Charit S.M., Uskov A.N., Lobzin Yu.V. Epidemiologia i infektsionnye bolezni. Aktualnyevoprosy. 2014. - 5. - P. 21-28. Infektsionnye bolezni: novosti, mneniya, obuchenie. 2014. - 2 (7). - P.89-97. Rudakova A.V., Meshkov D.O., Serebryakov E.M.
Zhurnal nevrologii i psychiatrii. 2014.- 10. - P.80-84. Good Clinical Practice, 2014. - №3. – P.27 - 34. Belousov D.U., Afanasyeva E.V., Efremova E.A. Diabetes mellitus. 2014. 3. - P. 5 – 16. Kalashnikova M.F., Suntsov Y.I., Belousov D.U., Kantemirova M.A. Pharmacoeconomics of dapagliflozin in patients with type 2 diabetes mellitus with inadequate glycemic control. Good Clinical Practice, №3, 2014. - P. 3 - 17. Ziryanov S.K., Kalashnikova M.F., Belousov D.U., Afanasieva E.V. Comparative evaluation of economic efficiency of modern inhaled anesthetics. Good Clinical Practice, №2, 2014. – P. 3 - 20. Pharmacoeconomic analysis of adjuvant use of zonisamide therapy resistant partial epilepsy in adults. Good Clinical Practice, №1, 2014, - P. 35 - 50. Pharmacoeconomic analysis of perampanel for resistance partial epilepsy. Good Clinical Practice, №1, 2014, - P.24 - 39. Basal insulin analogues in the diabetes mellitus type 2 control — economic aspects. Good Clinical Practice, №1, 2014, - P.3 - 13. Pharmacoeconomic aspects of the diabetic ketoacidosis prevention in type 1 diabetes mellitus by self-monitoring of blood ketones. Good Clinical Practice, №2, 2014, - P.58 - 65. Petryaykina E.E., Belousov D.U., Rybkina I.I., Koltunov I.E. Provision of medicines care provided in municipal health care institutions in the Moscow region in stationary conditions (2012 – 2014 years). Good Clinical Practice, №3, 2014, - P.30 - 35. Good Clinical Practice, №1, 2014, - P.77 - 82. Analysis of drugs procurement to ensure the provision of medical care in hospitals. Good Clinical Practice, №1, 2014, - P.83 - 86. 1.The cost-effectiveness analysis for use of dydrogesterone in premenstrual syndrome. Kolbin A., Vilum I., Balykina Yu., Proskurin M. ISPOR 17 annual European Congress. November 8-12. 2014. 2. Cost-effectiveness of apixaban compared to warfarin and aspirin in patients with non-valvular atrial fibrillation in the Russian Federation. A.V. Rudakova, V.A. Parfenov. Value in Health. 2014. PCV97. ISPOR 17 annual European Congress. November 8-12. 2014. 1. Toporov S.E., Rudakova A.V., Sizova N.V., Zacharova N.G., Rassochin V.V. Pharmacoeconomic analysis of first-line HAART. Application of the "decision tree" model // Collection of materials of the II Russian scientific-practical conference with international participation "Innovation in Health of the Nation".- S.-Petersburg, November 17, 2014- P. 231-234. 2. Shumlyanskaia V.E., Rudakova A.V. 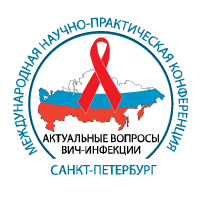 Cost-benefit analysis of the different approaches to the diagnosis of tuberculosis in HIV-infected population // Collection of materials of the II Russian scientific-practical conference with international participation "Innovation in Health of the Nation".- S.-Petersburg, November 17, 2014- P. 254-257. 4. Samarina A.V., Rudakova A.V. Evaluating cost-effectiveness of prevention programs for perinatal transmission of HIV and family planning programs among HIV-infected women // Collection of materials of the IV Conference on HIV / AIDS in Eastern Europe and Central Asia. Moscow, 2014 - P.275. 5. Rovny V.B., Rudakova A.V., Babchenko I.V. 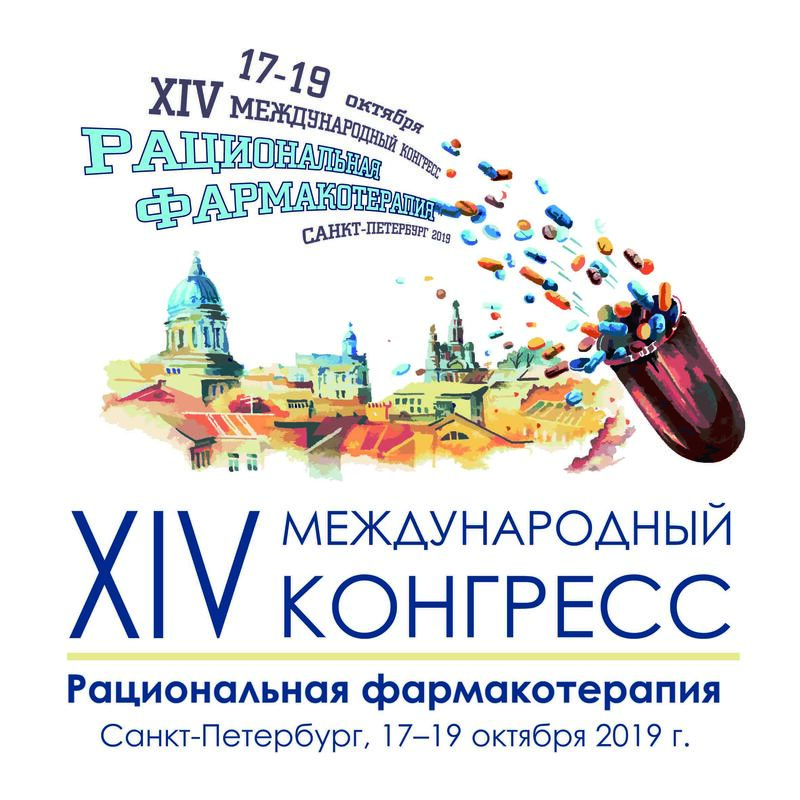 Epidemiological and pharmacoeconomic rationale for prevention of respiratory syncytial infection in children // Materials of the VIII Russian forum with international participation "Children's health: prevention and treatment of socially significant diseases". S.-Petersburg.- 2014.- P. 227. 6. Rudakova A.V., Lobzin Yu.V. Sidorenko S.V., Charit S.M. Assessment of the cost-effectiveness of vaccination of infants against pneumococcal disease with 10-valent pneumococcal vaccine // Mat. XVII Congress of Pediatricians of Russia with international participation "Actual problems of Pediatrics".- 2014.- P. 283. 1. "Medicine and Pharmacology" Workshop of the Social Service Guardianship Council of the Russian Federation. Pharmacovigilance in the Russian Federation. The role of a doctor. Health Technology Assessment: Application Prospects and Practical Experience. Social Service Guardianship Council of the Russian Federation. What Do We Use When Assessing Health Technologies? 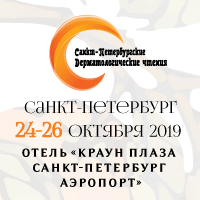 II International Scientific and Practical Symposium "HIV-infection and pharmacoeconomics"
Roundtable "Selecting the Induction Treatment for Patients with Kidney Transplant"
Pharmacoeconomic Aspects of Induction Therapy in Kidney Transplantation. All-Russian Meeting "Actual Problems of Clinical Pharmacology and Drug Supply" Interregional Scientific and Practical Conference "Actual Problems of Clinical Pharmacology and Drug Supply"
Meeting of Chief Experts (Oncology) "Improving the Results of Treatment in Patients with Metastatic Renal Cell Carcinoma"
IX Scientific and Practical Congress with International Participation "Rational Pharmacotherapy 2014"
Do We Know Everything About Drugs After Clinical Trials? Financing Health Care System. Compulsory Health Insurance. High-Tech Medical Care. Various Approaches and Models of Drug Supply System Development. Prototype Models. International Forum "Health Technology Assessment in Russia", IV Session. New Requirements for the Formation of Limited Lists: Are There Any Signs of HTA? St. Petersburg State University, IVESC International Steering Committee, St. Petersburg State Polytechnical University, Moscow Institute of Physics and Technology State University, Lebedev Physical Institute of the Russian Academy of Sciences (RAS), Kotel’nikov Institute of Radio Engineering and Electronics of RAS, Scientific Council of RAS on Physical Electronics, American Vacuum Society, Interregional Innovative development Center “INNO-MIR”, Russian Foundation for Basic Research. Mathematic Modeling Methods as a Necessary Instrument of Assessing Medical Technologies. Is it Possible to Use this Instrument under the Current System of Compiling Limited Drug Lists in Russia? 2nd International Educational Forum "Russian Days of the heart"
VIII Congress with international participation "Development of pharmacoeconomics and pharmacoepidemiology in the Russian Federation"
IX Congress with international participation "Rational pharmacotherapy - 2014"
2nd Interregional Scientific and Practical Symposium "HIV - medicine and pharmacoeconomics"
Assembly of Experts of Northwestern Federal District "Interdisciplinary approach in the diagnosis and treatment of immune-mediated diseases"
Workshop of experts in Moscow "Interdisciplinary approach in the diagnosis and treatment of immune-mediated diseases"
1. Actual problems of HTA and health care system financing in Russia. 11/11/2014ia: new challenges of the health care system. ISPOR 17 annual European Congress. November 8-12. Amsterdam. 2. Life Sciences Invest. Partnering Russia. Saint Petersburg, 18/11/2014. 1. Main issues of health technology assessment (technology used in health care. The schedule was 6 days a week during 1 mounth, totally 144 hours. May, 2014. Saint Petersburg. Name of sectionsand disciplines: Stages of drug development; Health technology assessment (HTA): history, goals, and the basic principles; Models and approaches for HTA; Effectiveness and efficacy of health technologies. Comparative studies; Adverse events; Basics of clinical and economic analysis. Pharmacoeconomics; Analysis of the results. Working with literature. Medical statistics; Reporting and publishing of the results; Development, adoption and evaluation of management decisions; Using HTA to justify the selection of therapy - some legal issues. VII. Translation of ISPOR Good Practices for Outcomes Research Articles (Available for Translation). 1. Retaining, and Enhancing, the QALY. Translator (name, title, organization, position): Irina Villum; MD, PhD; First State Medical University of St.Peterburg. Reviewer (name, title, organization, position): Sviatoslav Plavinski MD, PhD, DSc, North-West State Medical University named after I. I. Mechnikov, Dept. Head. 2. QALYs: Some Challenges. Translator (name, title, organization, position): Irina Villum; MD, PhD; First State Medical University of St.Peterburg. Reviewer (name, title, organization, position): Sviatoslav Plavinski MD, PhD, DSc, North-West State Medical University named after I. I. Mechnikov, Dept. Head. 3. QALYs: The Basics. Translator (name, title, organization, position): Irina Villum; MD, PhD; First State Medical University of St.Peterburg. Reviewer (name, title, organization, position): Sviatoslav Plavinski MD, PhD, DSc, North-West State Medical University named after I. I. Mechnikov, Dept. Head. 4. The Use of QALYs in Clinical and Patient Decision-Making: Issues and Prospects. Translator (name, title, organization, position): Irina Villum; MD, PhD; First State Medical University of St.Peterburg. Reviewer (name, title, organization, position): Alexey Kolbin, MD, PhD, DSc, professor, First State Medical University of St.Peterburg. 6. 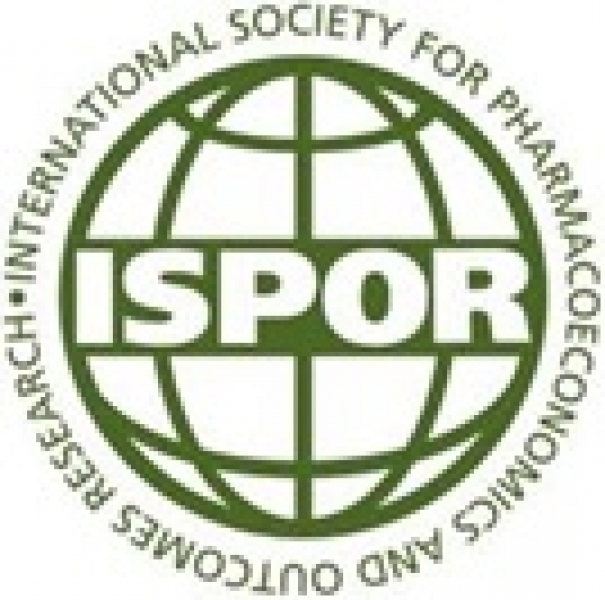 Model Transparency and Validation: A Report of the ISPOR-SMDM Modeling Good Research Practices Task Force-7. Translator (name, title, organization, position): Alexey Kurylev; MD; First State Medical University of St.Peterburg. Reviewer (name, title, organization, position): Alexey Kolbin; MD, PhD, DSc; First State Medical University of St.Peterburg; professor, head of the Department of Clinical Pharmacology. 7. Using Real-World Data for Coverage and Payment Decisions: The ISPOR Real-World Data Task Force Report. Translator (name, title, organization, position): Alexey Kurylev; MD; First State Medical University of St.Peterburg. Reviewer (name, title, organization, position): Alexey Kolbin; MD, PhD, DSc; First State Medical University of St.Peterburg; professor, head of the Department of Clinical Pharmacology. 8. Validation of Electronic Systems to Collect Patient-Reported Outcome (PRO) Data—Recommendations for Clinical Trial Teams: Report of the ISPOR ePRO Systems Validation Good Research Practices Task Force. Translator (name, title, organization, position): Andrey Pavlysh; MD,PhD; First State Medical University of St.Peterburg. Reviewer (name, title, organization, position): Alexey Kolbin; MD, PhD, DSc; First State Medical University of St.Peterburg; professor, head of the Department of Clinical Pharmacology and Elena Verbitskaya, Docent, PhD, First Pavlov State Medical University, associate professor. 9. Recommendations on Evidence Needed to Support Measurement Equivalence between Electronic and Paper-Based Patient-Reported Outcome (PRO) Measures: ISPOR ePRO Good Research Practices Task Force Report. Translator (name, title, organization, position): Andrey Pavlysh; MD,PhD; First State Medical University of St.Peterburg. Reviewer (name, title, organization, position): Elena Verbitskaya, Docent, PhD, First Pavlov State Medical University, associate professor. 10.Multinational Trials—Recommendations on the Translations Required, Approaches to Using the Same Language in Different Countries, and the Approaches to Support Pooling the Data: The ISPOR Patient-Reported Outcomes Translation and Linguistic Validation Good Research Practices Task Force Report. Translator (name, title, organization, position): Andrey Pavlysh; MD,PhD; First State Medical University of St.Peterburg. Reviewer (name, title, organization, position): Elena Verbitskaya, Docent, PhD, First Pavlov State Medical University, associate professor. 11.Dynamic Transmission Modeling: A Report of the ISPOR-SMDM Modeling Good Research Practices Task Force-5. 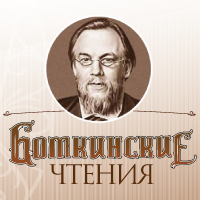 Translator (name, title, organization, position): Gapeshin Roman, MD, St Petersburg State University. Reviewer (name, title, organization, position): Sviatoslav Plavinski MD, PhD, DSc, North-West State Medical University. 12.Modeling using Discrete Event Simulation: A Report of the ISPOR-SMDM Modeling Good Research Practices Task Force-4. Translator (name, title, organization, position): Gapeshin Roman, MD, St Petersburg State University. Reviewer (name, title, organization, position):Sergey Zyryanov; MD, PhD, DSc, professor; Russian National Research Medical University. 13.Pediatric Patient-Reported Outcome Instruments for Research to Support Medical Product Labeling: Report of the ISPOR Good Research Practices for the Assessment of Patient-Reported Outcomes in Children and Adolescents Task Force. Translator (name, title, organization, position): Gapeshin Roman, MD, St Petersburg State University. Reviewer (name, title, organization, position): Alexey Kolbin, MD, PhD, DSc, professor, First State Medical University of St.Peterburg. 14.Budget Impact Analysis—Principles of Good Practice: Report of the ISPOR 2012 Budget Impact Analysis Good Practice II Task Force. Translator (name, title, organization, position): Timofey Galankin, MD, First Pavlov State Medical University, associate professor. Reviewer (name, title, organization, position): Alla Rudakova, PharmD, PhD, DSc, professor, St. Petersburg State Chemical-Pharmaceutical Academy. 15.Principles of Good Practice for Decision Analytic Modeling in Health-Care Evaluation: Report of the ISPOR Task Force on Good Research Practices—Modeling Studies. Translator (name, title, organization, position): Yulia Balykina; MS, PhD; St Petersburg State University. Reviewer (name, title, organization, position):Sergey Zyryanov; MD, PhD, DSc, professor; Russian National Research Medical University. Госпитальный рынок Санкт-Петербурга: итоги 2014г.